Fireworks Pottery twig and leaf tea set - teapot, cups and saucers and mugs. Unique very creative teapot and tea cups and saucers. Look as if they are growing as you look at them. Very organic. 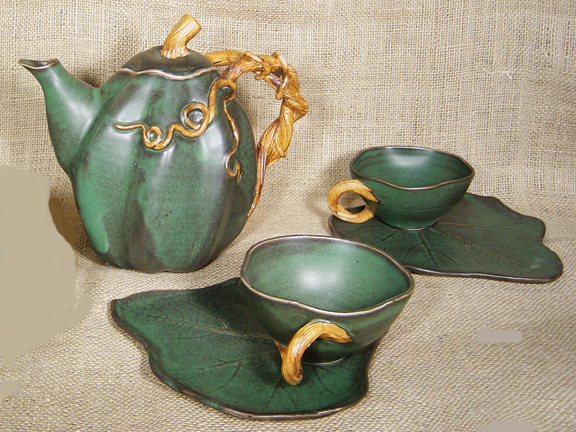 Vine handles on teapot and tea cups and leaf off center saucers. Sorry shipping is expensive. We double box the pottery, pad it well, and ship Priority Mail.